A French white two months in a row? To quote Demi Lovato and millennials everywhere, "sorry not sorry." 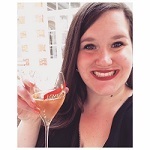 Because it's Spring and if you're not drinking French whites, what are you even doing? It's time to fill our days with watching baseball, planning summer vacations, complaining about allergies, and drinking Vouvray, Chablis, and today's focus: Muscadet. If you're following me on Delectable you may have noticed that I went hard on Muscadet last summer. I had to step away from it for a little bit after that but now the sun is shining and I'm ready to revisit one of my favorite white wines! 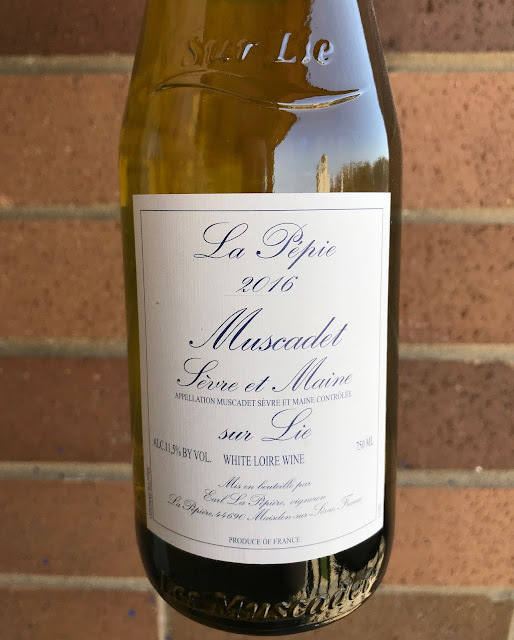 Need a primer on Muscadet? Check out this post! Domaine de la Pépière was founded in 1984 by winemaker Marc Ollivier. Ollivier is kind of a big deal in the Loire Valley. He is known for harvesting by hand, using native yeasts, and giving his wines extended lees contact. It is also said that he is the only grower in Muscadet without a single clonal in his vineyards. So the 2016 bottle will be full of Ollivier's original stock wine? Not so fast. Unfortunately 2016 was a crippling year for the region. Hammered by frost, affected winemakers—including Domaine de la Pépière—were forced to purchase grapes from their neighbors to supplement their harvests. While the quality is just as high, this vintage is in fact a little different than others. Imagine you are taking a tequila shot but with a lemon wedge instead of a lime and you skipped the actual shot. Am I describing a lick of salt and a squeeze of lemon? Yes, yes I am. This wine is salty, lemony, yeasty, and creamy. The pastry vibes are more pronounced on the nose for me but there's still plenty of yeasty carbs lurking on the palate, too. This would pair well with any seafood, especially shellfish like crabs, oysters, or mussels. It also has me craving a mild Swiss or Gouda! Appearance: Clear, medium- intensity, lemon color. Nose: Lemon, lime, saltwater, yeast, lemon-filled pastry with cream cheese topping. Palate: Dry, medium+ acidity, medium body, saline and minerals up front quickly followed by lemon curd, lightly toasted bread, more pastry, and cream. Sprinkle of salt. Finish: Medium+ with saltwater and raw bread dough taking the final lap. Next: Pair your Muscadet with macaroni and cheese!